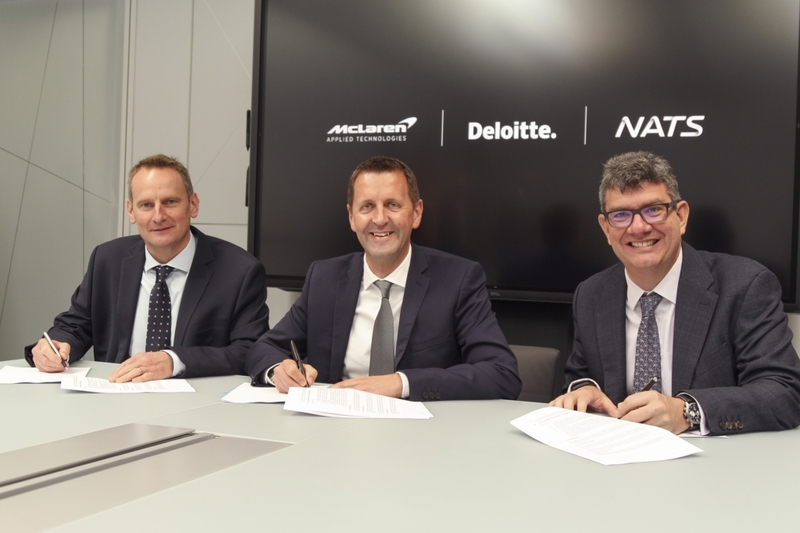 NATS, the UK air traffic service, and McLaren Deloitte have today announced a collaboration agreement aimed at transforming how operational decisions are made in the aviation industry. The companies will work together on products that combine the relative expertise of leading organisations; bringing together state-of-the-art analytics and data science with the real-world experience of network and airport capacity management. During every Formula 1 race, McLaren takes into account millions of possible scenarios to then model the outcome of a range of tactical decisions. Meanwhile, Deloitte is renowned for their experience in using data analytics to deliver large consulting projects globally. These capabilities, combined with NATS' expertise in managing congested and complex airspace and airports, are now being deployed to help the aviation industry understand and accurately predict the impact of decisions before they are even made. Developed together by NATS air traffic and airspace capacity management experts with McLaren Deloitte data scientists, Performance Optimiser allows ANSPs to review and model the effect of a huge range of tactical decisions in en-route and terminal airspace - such as the use of flow regulations - in order to maximise available airspace capacity and minimise delays. The cloud-based system offers instant access to operational data, allowing the user to view a range of factors that may influence air traffic- from the level of flow regulations and weather conditions, through to the occurrence of sporting events - in order to make an informed decision that helps best manage the airspace. Performance Optimiser can then simulate how different decisions would have changed the outcome for any given day, allowing operational supervisors to not just review performance, but inform future decisions and quickly apply their learning to drive improvement. Martin Rolfe, NATS Chief Executive Officer, said: "On the surface, aviation and Formula 1 might seem like an unlikely collaboration, but we are increasingly looking at opportunities to work with people outside of the traditional aviation industry to find new ways to help our customers. NATS has a world-class capability in managing busy and complex traffic flows, and we're already seeing the benefits of combining that expertise with what McLaren Deloitte do so well. I'm excited to see where else this will go next." Mark Cooper, partner for aviation technology at Deloitte, said: "As the UK airspace becomes more crowded it will be increasingly difficult to manage and McLaren Deloitte are delighted to be working in collaboration with NATS to provide a solution powered by the concept of a digital twin. By taking all of the experience and knowledge of air navigation professionals and enhancing it with advanced analytics and simulation, Performance Optimiser allows operational supervisors to make data-augmented decisions which improves both operational efficiency and consistency. This product will enable NATS as well as the global aviation community to make the best decisions in managing the airspace, and we look forward to working with them to achieve this." 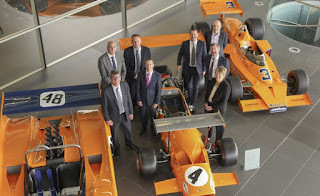 Mark Mathieson, McLaren, Mark Cooper, Deloitte and Martin Rolfe, NATS. Mike Phillips, Director, Aviation, McLaren Applied Technologies, said: "Together McLaren and Deloitte are focusing on the growing needs of airport operations and are investing in a suite of solutions. This new collaboration with NATS enables us to deliver F1 derived simulation and analytics to air traffic management, enabling operational supervisors to make decisions based on data-driven insights. The potential offered by sensors, simulation and data analytics to the airspace navigation sector is significant, but until now it has been difficult for the industry to bridge the gap between the physical and digital world. This relationship will provide NATS and its customers with data that allows them to improve operational efficiency and unlock the benefits that come with it."